This month’s supermoon is going to be the biggest and brightest the world has seen since 1948. During the event, which will happen on the eve of November 14, the Moon will appear up to 14 percent bigger and 30 percent brighter than an average full moon. A supermoon occurs when the moon is at it’s closest position to earth and also happens to be full. They tend to produce even higher tides which are known to increase the energetic pull on our bodies and our emotions. While they aren’t extremely uncommon, this particular supermoon is sandwiched between October and December’s full supermoons. Wow! Having three in a row is definitely setting us up for quite a powerful end to 2016. If we look at how the cycles of the moon are mirrored in our own body’s cycles, we can begin to make connections that stir a sense of intuitive knowing that women have shared over centuries. We start to understand that the cycles we experience, the wax and wane, the natural emotional flow of the female is something sacred and need not be regarded as burdensome. Each month we experience changes in the way we perceive ourselves and the world in accordance to where we fall in our menstrual cycle. The moon’s cycle only adds another layer to our monthly experience, altering the intensity of the energies depending upon where the two cycles overlap. For example if a woman is ovulating with the Full Moon, this mode of cycling gives a woman the best chance of physical fertility, great for trying to conceive children, as the full moon accentuates the time of Ovulation. When a woman bleeds with the full moon, this mode of cycling enhances inner expression, intuition and the development of the inner, spiritual life. If we study this connection we can learn to flow in natural harmony. There are so many benefits from learning to love and appreciate this relationship. 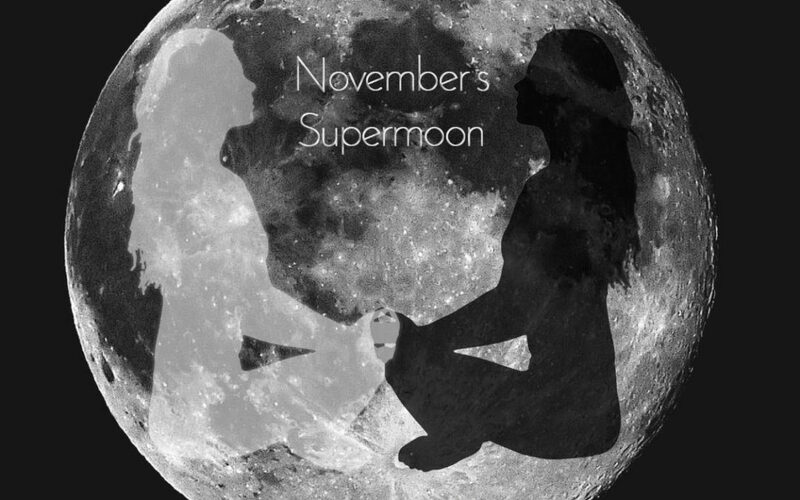 Whether you have a white moon cycle, or red moon cycle, this supermoon marks a night when all women are empowered! What a beautiful thing to be physically attuned with the cosmos! Spiritually the full moon is deemed to be a formidable time for meditation, energy healing and recharging human energy field and chakras. Countless ancient cultures used the night of the full moon as a time for their honored rituals and ceremonies. Luckily the full moon energy spans three days before and three days after, so if you cant take a moment out of your schedule the night of November 14th, you’ve got about a weeks worth of wiggle room to take advantage of it! If you’re interested in intensifying your fertility during this potent time, I highly recommend you take this opportunity to try our Full Moon Meditation. Click below to see how!